Starting with a string of little hearts, it’s quite obvious that I will need to work on spacing. As you can see in the picture, at first I had a way too frilly over abundance of hearts and connectors or “vines”. But you can see closer to the bottom that the spacing I tried there is better. Time to let this one go, and I will start another one using the spacing that seems to work. First attempt at new pattern Emma. Not likely to be a keeper, the first attempt is always a fun piece. Here you can see a little problem with size. The centre is too small. And there are way too many hearts too close together. The outside arched chains look good. But I did get a lot of practice making dimple hearts. The next step in creating a new pattern is experimenting. 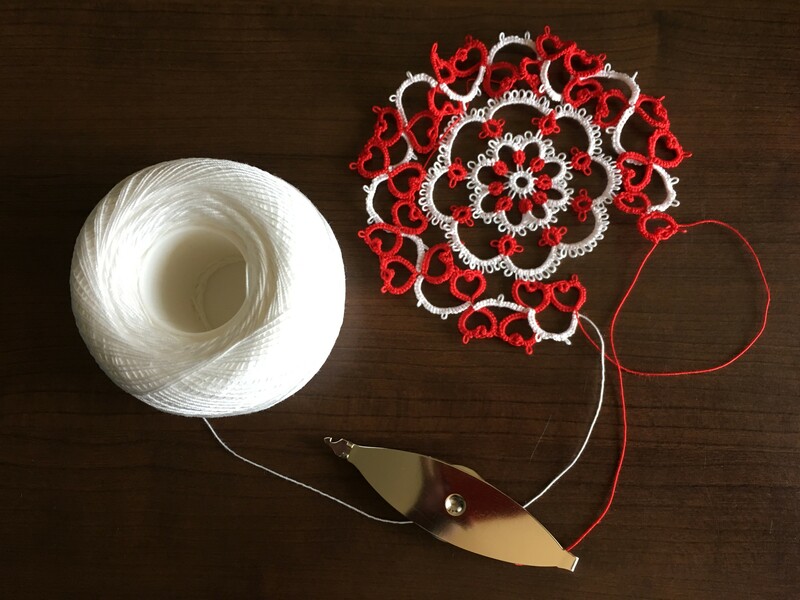 This string of little hearts takes the idea of the outer round from the inspiration pattern and puts hearts where the simple rings were. 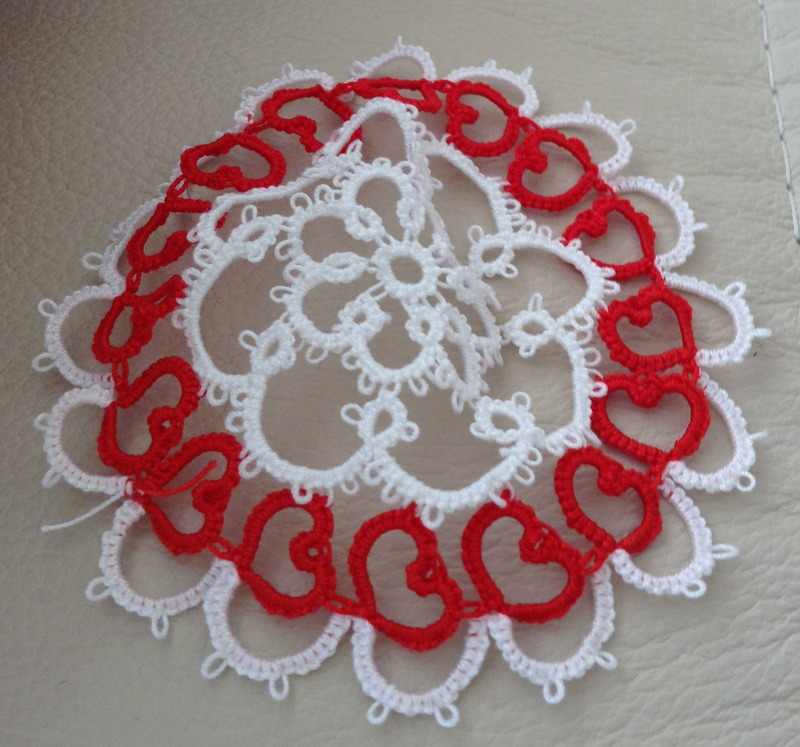 I’ve always found that tatting, which includes rings and joining arched chains, a bit awkward for working with hearts. The roundness at the top of the heart is easy enough, but the point at the bottom is difficult to manage convincingly. For my little hearts on Emma I’ve used a “dimple” technique. This is where you create a picot and join to it in the same ring. I do this to get a convincing point at the bottom of the heart. This makes for cute little hearts, but it can be a challenge to manage properly when closing the ring.